Assassin's Creed franchise celebrates its fifth anniversary, and the developers decided to reveal some stuff, that was hidden before, on this occasion. 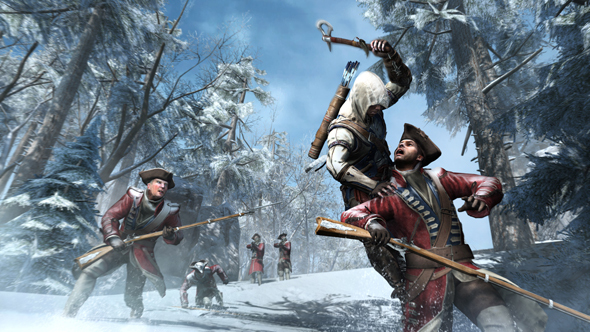 First of all they showed new videos from the backstage and told us more about fascinating Assassin's Creed 3 game. And we'd like to share this videos with you. In this developer's diary you can get to know more about Assassin's Creed 3 gameplay and setting, about Connor Kenway and historical figures of that times, about unique Assassins' Creed 3 weapons and lot of other interesting details. If you want to get more exciting news about Assassin's Creed III and other action-adventure games, welcome to our social pages on Facebook, Twitter and YouTube.